Removed dim mode saving until bugs fixed. Multi mode/screen. 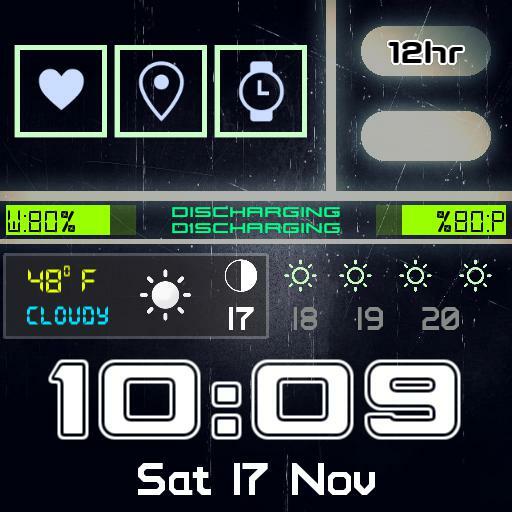 Watch mode with basic weather and 4 day forecast. Fitness mode with distance in KM, guestimated speed using steps. Tracker mode with PoI feature Where Did I Park My Car, zoomable, scalable and scrolling map. Simple stopwatch with two time lapses. Calender events. Optional sounds/vibrations. User changeable colour pallete.